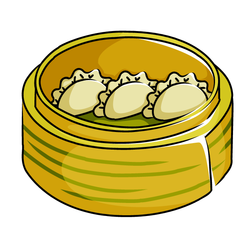 In China, Chinese New Year is celebrated with eating dumplings! Everyone will make 15 dumplings from scratch! We have 8 fillings (choose Vegetarian or meet ). We will prepare the dough and fillings. We will have someone demonstrate how to make the authentic northern style dumplings step by step. You will also learn some Mandarin Chinese New Year and cooking vocabularies. It's a great activity for families.